There was a huge bank heist in San Francisco. Two banks, the Seaman's National Trust and the Golden Gate Trust, were robbed on the same day by a gang of at least 150 crooks who had been imported from all over the United States. The operation was well organized with teams of robbers who were given instructions by team leaders. Who ran the whole thing? Bluepoint Vance was in the car directing operations, but there were also The Shivering Kid, Alphabet Shorty McCoy, Toots Salda and the Dis-and Dat Kid. After the robbery, the police had some of the robbers in custody and more names were given such as Denny Burke, Toby the Lugs, and Paddy the Mex. Who was going to find the leader of this operation? The Continental Op. Pushing forty years old and twenty pounds overweight, he could still hold his own in a battle with the bad guys. All of the thieves involved in the robbery were waiting to get their pay off, and if they didn't San Francisco would become a hot bed of crime as they struggled to find other sources of funds. Some of the thieves were killed after the robbery which apparently was done to make smaller the number of thieves who would need to paid off. Two of the dying thieves wrote on a wall in their own blood the name Big Flora. The Continental Op did indeed find Big Flora, and found that she was a very big blond with muscles, but not the boss of the operation. All of this was described in the first part of the book. In the second part, the Continental Op with another agent Jack Counihan, who is young and eager, search for the real mastermind of the huge robbery. This book was not originally written as a novel. 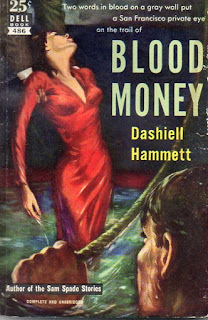 It is two short stories which were published in Black Mask magazine in 1927 as " The Big Knockover" and "$106,000 Blood Money" and only later in 1943 were they combined to make a novel. There is quite a difference between the two parts. Part 1 which describes the robbery and the bloody aftermath is quite violent. Part 2 which describes the hunt for the mastermind behind the operation is much quieter and better written. 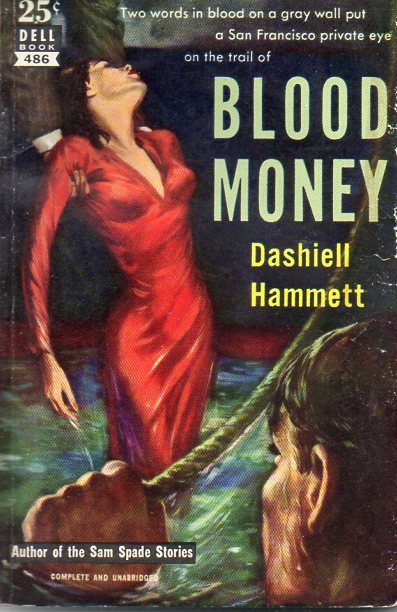 In both parts, Hammett comes up with great names for his criminals. 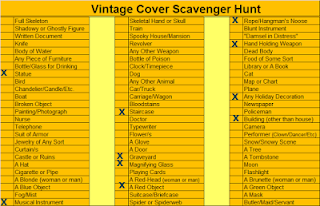 I have read this book for the 2017 Golden Scavenger Hunt is the category of a book with a picture of a rope on the cover.